Designcollectors, stockists of the largest Vitra range in Europe, are excited to announce that they will now also sell fab brands Artek and Thonet in the Designcollectors online shop. They have also recently launched a Designcollector's Facebook page for all the latest product info and interior inspiration - yay! we like! 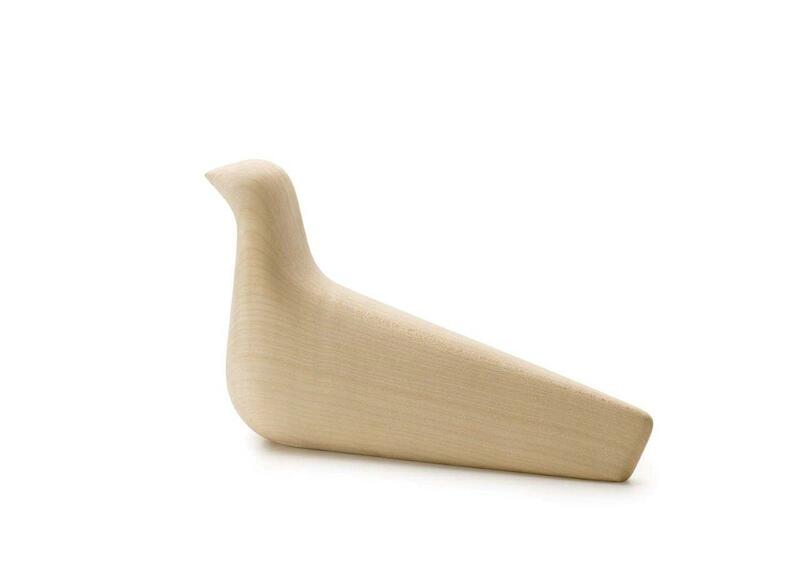 To celebrate the launch of the new brands Designcollector's and my scandinavian home have teamed up to offer you the chance to win this very cool Vitra L'oiseau worth 100 euros! The competition is open to everyone and closes Monday 29th April at midnight GMT. The winner will be announced here on Tuesday 30th April. Don't forget, if you're not the lucky winner you can always get 15% off on all products at Designcollectors with the code MYSCAN. It was so difficult to select only ONE item from all the amazing designs, but I absolutely fell in love with the Paimio armchair. Gorgeous! My favourite is the Ceiling Lamp from Artek because of it's classic and timeless design. It reminds me of the Bauhaus and would totally fit well above my dinner table. Living in Vienna I'm constantly surrounded by classic Thonet chairs which are still used for this extra Viennese "Kaffehaus" feeling - though I like the 209 chair best with an extra bit of extravagance (the armrests) and still the timeless Thonet shape...ideal to go with both: classic furniture AND modern, clean looks... as most of my appartment is white I would definitely go for thewalnut or black option! O I love the Vitra Millerstripe - Multicolored Bright cushion. Gorgeous colours! Many thanks for this fabulous give away! I very much like the A331 Ceiling Lamp "Beehive" (especially chrome). The A330 lamp is very cute too. Generally love the chrome trend. Thanks for your blog, very inspiring. My absolut favorite is the 209 chair. I think it is so classic, yet still contemporary and chick. Just completed my task and checked the DesignCollectors website: I want to be one, I really want to be a design collector myself but my wishlist keeps growing instead of reducing! Love their selection and I'd have a few favourites to list but, as you said one, I'll go for the 153A Artek bench: an everlasting classic that found a special place in my heart since I saw it in Susanna Vento's blog (she found it in a flea market, lucky girl). Thanks for giveaway! My favourite item is Pamio armchair. Love the shape, flow and colours. My all-time favorite is Charles & Ray Eames' Plastic Side Chair DSW. Hi there, what a sweet giveaway! My favourite item has got to be the Uten.Silo I in white. Since we live in a rather small house, clever storage is really important to us. On the other hand, I'm a real collector. I am truly fascinated by beautiful things, shapes and colours and like to display the things I like. Even when I was a child, I had a rack in my bedroom in which I created little 'temporary exhibitions'. The Uten.Silo is the perfect match between my need for storage solutions and my 'display demands'. And then I didn't mention yet how beautiful it is in itself. I haven't bought it yet (there's a girlfriend that still needs some convincing :-)) but I know I will. That being said: I'm also smitten with the Vitra L'oiseau you're giving away. It reflects such pure and minimalistic beauty. It reminds me of a quote from the beautiful book 'A sky full of kindness' by Rob Ryan: "All we can do is live from day to day. And I want to grow old with you, until my feathers go grey and my beak wrinkles up and my wings are to weak to fly. All we can do is live from day to day." Hi there, what's not lovely on their site? Love all the design classics, but if I had to chose something it would be definitely the Vitra Nelson tables. All objects are pure beauty But I have two favourites though: the Paimio armchair and the Beehive lamp.They would fit perfectly in my living room. I love Vitra Millerstripe - Multicolored Bright cushion. Its so colorful. I wish I had one to brighten up my living room! i love the A110 black ceiling lamp! Because i just love lamps! thanks for this cool give-away! The Waver chair (http://www.designcollectors.com/EN/product/1548/waver/) ticks all of the boxes for me: it's stylish, classic, attractive, comfortable and useful! I like this ceiling lamp as it is sleek and stylish and would look perfect in my bedroom which has a black and white colour scheme. Great giveaway. Great shop. I love it all. My favorite is Eames side chair. My absolute favorite is the 209 chair. I really like the Vitra Pretzel chair, it's a great design and it is named after a cookie! Njam! If I have to choose only one thing I think I'll go for the Vitra Eames rocking armchair! Absolutely love the vitra uten.silo in white! Such an innovative stylish way to store all those little things that end up just lying around. Love it! I love the funky 41 armchair Paimio, I can just see myself lying back in that, lovely design! Barbara. A lot of interesting things in the shop that it was difficult to choose! If I had to choose it would be the 112B wall shelf, it's simple yet stylish and would be ideal for a book shelf in my bedroom /Martin. So many beautiful things to choose from, but I love the Vitra wheel clock! oh my! lovely things! I really loved the A330 Ceiling Lamp. beautiful gold! I am in love with the Paimio armchair... Sooo, stylish! My favorite in the Vitra collection is the Vitra Soft Pad Group EA 217. It is so vintage! I really like the design, the color, it is a real classic and such a great and comfy chair for the office. Love love love! Christina Frisberg Hello what a amaizing cometition! I totaly fell in love, at the chairs Vitra by Panton, they has a amazing design and have a gorgeous colours, they should look very nice in my kitchen. I love the S 533R chair. It looks so comfortable - classic yet totally modern too. I love the tea trolley, the ultimate accessory for an English tea lover! Cassie, London. love the armchair paimio! or any of the stools from artek! ONE CHAIR IS ENOUGH - that's ARTEK's philosophy and they are so damn right! Forget about tea trolleys or wheel clocks ... simply take one Aalto 60 Stool. There's almost no other piece of furniture ... which is that multifunctional, timeless and strong in shape. Stool 60 is a true masterpiece made for generations! Love the vitra toolbox or the black uten silo - great for art and craft bits and bobs. Great website! I really love Arteks 112A Wall Shelf. It looks like the shelf invites you to place things on it. Like it reach out to you. No other shelf has given med that imoression. Love it! Thanks for a wonderful competion. L'oiseau is just fantastic - beautiful in its simplicity. Awesome giveaway! 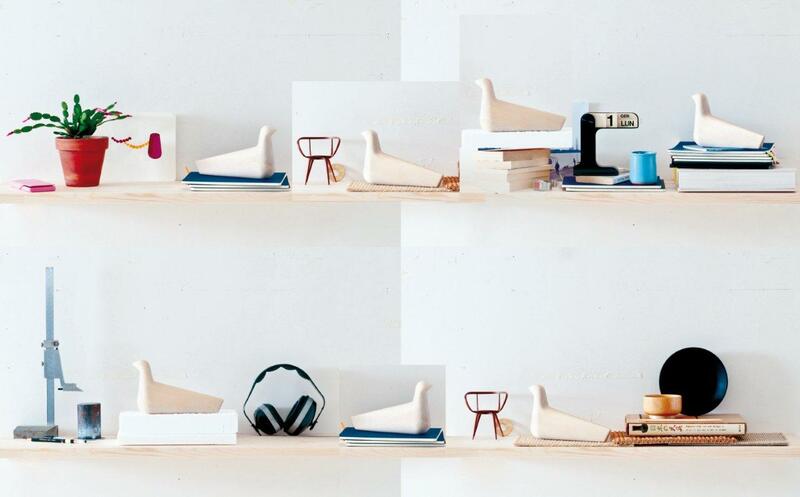 I adore l'oiseau as well as the hang it all hooks in natural and red, and the Alvar Aalto wall shelf. Fantastic shop. I really like the 209 chair! my fav item is the Armchair "Paimio" it looks sleek and comfortable two things that don't always fit together. I love the Beehive light!!!!!!! All of those ceiling lights are incredible but the bee hive one is my favorite! Got to enter because L'oiseau is just so gorgeous. Aren't those miniature chairs cool too!! Happy Spring! LOVE L'oiseau for the timelessness of the design and also the beehive light bc it is just so darn beautiful looking! I love this giveaway! Chosing just one pice from Designcollectors site is very dificult since there is a lot of stuff from my huge wishlist :). But lets play by the rules....so I would say classic thonet chair 214. I think that chair is georgeous, evergreen design that looks great also in moderen styled home. And there is one thing wich I find very iportant too, it is very comfortable. I like the Beehive Ceiling lamb as it's simple yet sophisticated and would look good in any room. My favourite is Vitra's Alcove Highback Two-Seater. We don't have a guest room, but this gives a little privacy in the living room. I also like that it feels like the perfect reading nook. I love the 214 chair - simple and classy! I love the classic Vitra Eames Elephant - I don't think one can ever get too old for that kind of fun. Plus, it's practical as a quirky little side table. 41 Armchair "Paimio" I love Alvar Aalto and once found a Finmar table that had been thrown out in a council clearence!!! DESIGNCOLLECTORS. A wonderful store. So many items that I would love to bring home. I especially love the Vitra Eames storage units: simple, clean with a bit of colour. Second, are the trays...L'oiseau is a beautifully simple little bird. I've liked the page on FB as Paola Allegrini. I love the A338 Ceiling Lamp "Bilberry". It's so simple and classy! the vitra lounge chair is my favourite item, it looks great and so comfy! the vitra toolbox is my favourite. vitra eames elephant is so cute! I just love the classic Vitra Butterfly Stool. It's so beautiful and minimalist, practical yet like a piece of art! I also love the way it blends the Scandinavian and Eastern aesthetics which are so diverse, yet can also be so similar. I love the Artek 901 Tea Trolley, because I would use it ALL the time :) Very useful and beautiful piece to have in a home or store. The vitra Nelson tables are nice ;) but I would love to have all of it!